As we greet the sunrise together, with still minds and open hearts, our awareness of nature and subtle energies is heightened. Its the perfect time to experience the divine sounds of these beautiful crystal instruments. 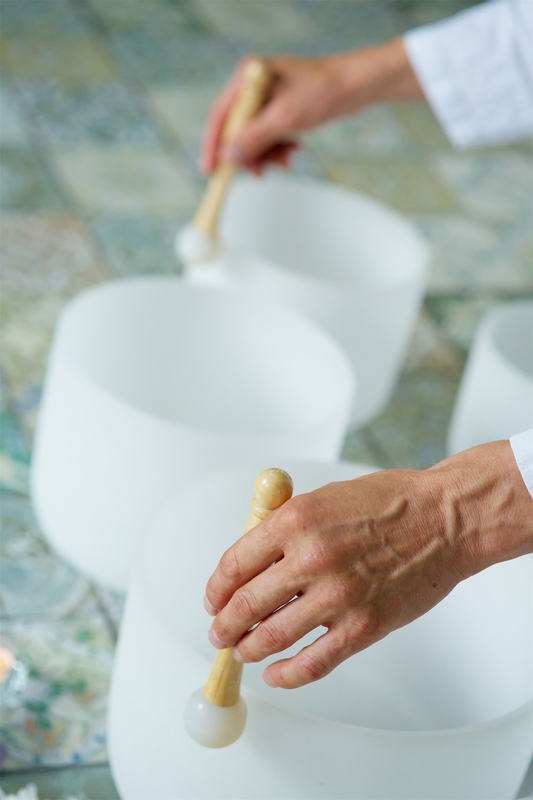 The tones from these sacred crystal singing bowls can lead one into a state of total relaxation in which healing and connection to a higher consciousness can take place. Victoria Schon, our facilitator, offers a unique inner journey guided by a variety of sounds, all with assorted frequencies and vibrations. In addition to the graceful and celestial sounds of crystal singing bowls, she incorporates Tibetan singing bowls, chimes, gongs and various celestial instruments that are naturally received and resonate with different parts of the body. Please arrive at least 10 minutes early to allow yourself to check in and get settled. Bring a yoga mat, blanket and optional pillow and eye mask. 1st and 3rd Sunday every month.